Time to start packing. Next week I’m attending Webmaster World Pubcon in Las Vegas. I’m really looking forward to the event. And although I’m not into gambling I’m really looking forward to experiencing Vegas. There are some great sessions planned, but as always the bar is the best place, and thats not just because of the beer! It’s great to hang out with like minded people and share ideas and swap stories. 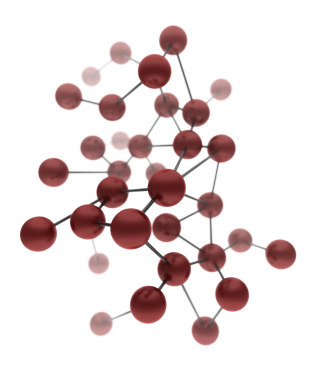 I’m looking forward to hooking up with some old friends and making lots of new ones. I’ll be stopping at the Wynn which looks pretty amazing. I’m also hoping to get out to see the Grand Canyon (check out this crazy walkway) and Hoover dam, we’ll see if there’s time. It’s going to be a very tiring but exciting week. Bring it on! I’m currently involved in looking for a new office. I’ve always yearned for somewhere different from the boring, grey corporate, linear structure of many offices. I want somewhere colorful and little more playful, something with an edge. This is important for two main reasons. Firstly it creates a better environment for the people who have to work there. Happy people do good work and are more creative. Secondly it helps with staff retention and recruitment. While Googling for inspiration I came across these cool workplaces. 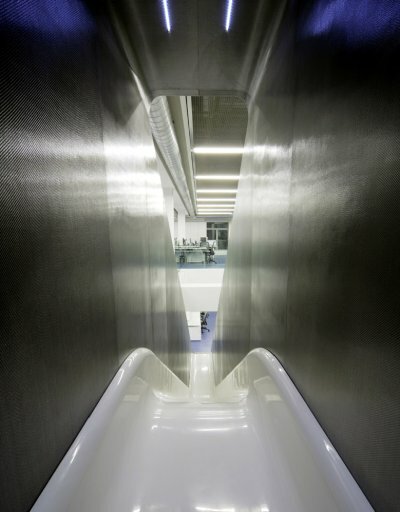 And you have to see the Redbull offices, I mean come on a slide to go between floors, are they serious?